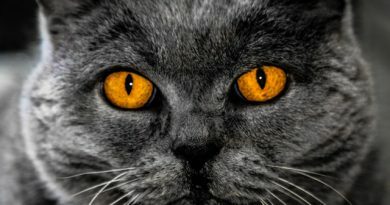 If you have a cat, like most people do nowadays, you’ve probably noticed that sometimes, your furry little friend begins making that rhythmic motion when they seem massaging either you, other cats, or the objects around. That is commonly known as kneading, a process during which they alternatively push their paws onto various surfaces. Some cats knead only by using their two front paws, others use all four paws, while some even get their claws out while doing it. Regardless of their preferences, cats have some supposedly interesting reasons for kneading their owners and the objects around them, although not even experts know exactly why they do that. In this article, we will be talking about the most common theories. This kneading motion can be observed in most cats, and it is something that they start doing as kittens. Kneading got its name from the similar motion that people do when they are kneading dough. It is an adorable and relaxing thing to watch, even if there are times when you’d rather take a nap than have your kitty knead you for minutes. In such cases, you can resort to some tricks to make your furry friend fall asleep or you can distract it with a toy or food to forget about kneading. Nobody knows for sure what actually makes cats knead, but it is believed to be an inherited instinct. As kittens, they used this motion to stimulate their mother’s mammary glands to produce more milk for them. Also, it seems that in ancient times, wild cats used to make nests out of tall grass and leaves to settle and feel secure, and they used this motion to do it. Now, modern cats might still do this when they are settling down. Apart from this, experts have noticed that female cats begin kneading more often when they “go into heat.” So, what is the reason cats still knead everything they touch? Here are some possible explanations. This behavior is formed when the cat is just a baby and wants to drink milk from its mother. The kneading is believed to stimulate milk production in the mammary glands. However, most cats preserve this behavior into adulthood even when they are no longer around their mother. Why is that? It seems that by kneading something soft, even if they don’t get milk in return, cats feel comfortable and safe, just like when they were small kittens. Adult cats still associate this motion with the comfort of nursing and repeat it from time to time to feel good. Cats absolutely adore stretching, especially after a long nap. They like to move around a bit to relieve that soreness they might feel in their legs and back. So, in a way, kneading might be their way of stretching just like humans do when they have a sore shoulder, for example. 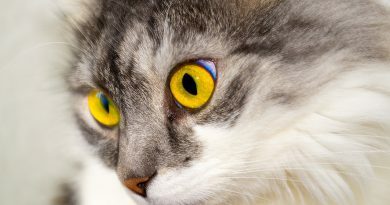 Just like you would pull yourself against a surface to relieve that tension, cats rely on kneading. They do it frequently just because it feels so good. After another nap, they’ll do it all over again, sometimes on you, other times on your sofa. Your furry friend might start kneading while in your lap. The problem is that, sometimes, this behavior might hurt a little because some cats like to also use their claws for kneading. Don’t worry because the harder it digs its claws into you, the happier it is and the more it loves you. When cats knead their owners it’s also a strong proof that they love them. However, if your cat becomes a bit too excited with the claws, try putting something between them and your lap, or rub its belly instead. 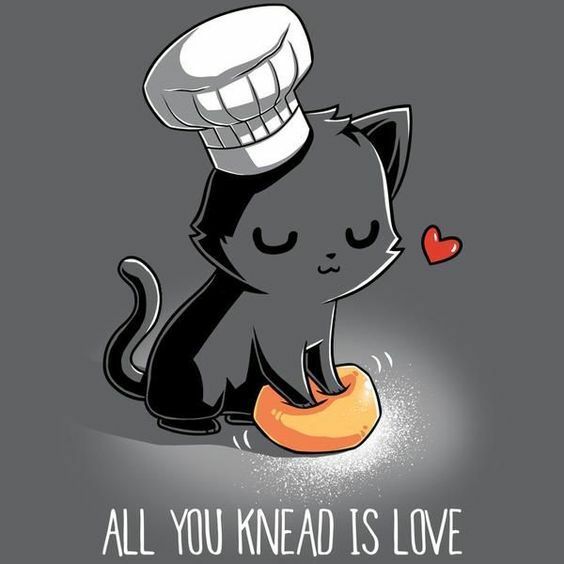 No matter what you choose, never punish or scold your kitty for kneading you! They don’t want to hurt you, they just want to love you. So, a good idea would be to regularly trim the claws or buy some nail guards to protect yourself from its loving claws. Cats are very territorial by nature and they don’t like sharing their things or owners with others. So, in order to mark their belongings, they use a special scent. 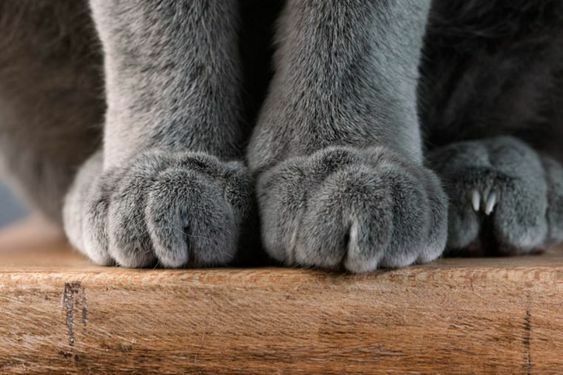 That kneading behavior is also part of this ritual because by doing it, cats activate the scent glands inside the pads at the bottom of their paws. Each time they knead on any soft surface or you, they are marking their territory. So, your cat basically owns you whether you like it or not. Another reason for kneading is present only in female cats. It seems that this fascinating behavior intensifies every time they “go into heat”, as this time period is commonly known. Scientifically, this is called estrus, or when a female cat (or any female mammal actually) wants male attention and shows it through various behaviors. They usually knead more often to show males that they want and are able to mate at that moment. A solution would be to neuter/spay your cat because it diminishes and even stops this kind of behavior. 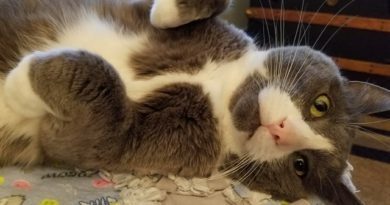 In conclusion, cat owners should know by now that their furry little friends have some funny little traits that they adore to exhibit all the time. From kneading to purring, felines make our lives much happier, entertain us, and love us even if they don’t always show it. 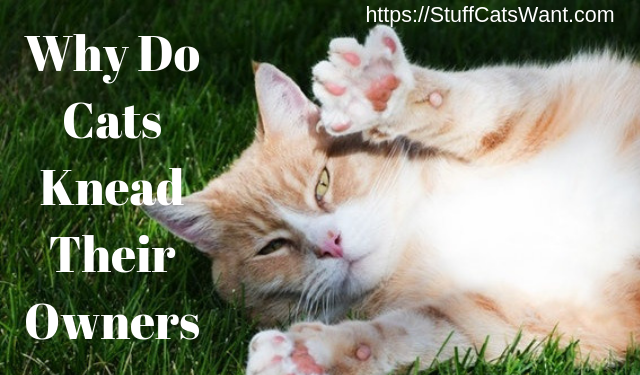 The truth is that not even experts are entirely sure why cats knead their owners, but regardless of the reason, one thing is sure: it’s an instinctive behavior which also suggests they feel safe and like to be your pets. ​Sybella Montgomery is working for a website, PetToysPro that specializes in animal toys for different types of animals. Her passion and dedication for animals well-being are what brought her to do this.